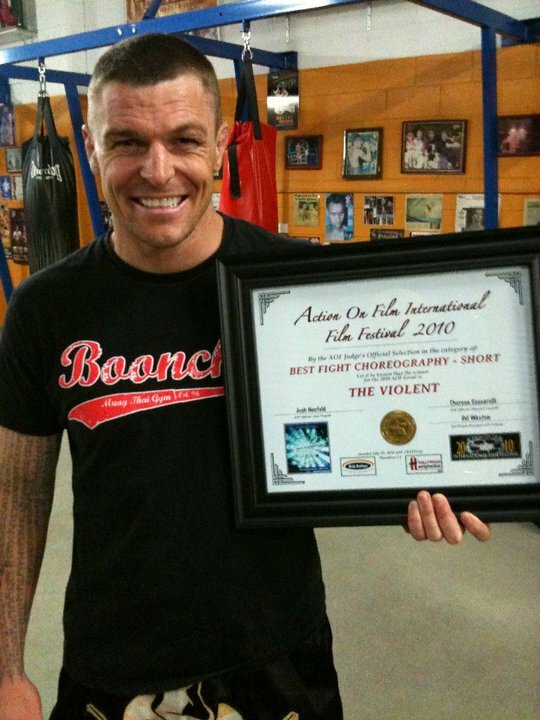 “The VIOLENT” has won the Best Fight Choreography Award at the 2010 Action on Film Festival in Pasadena, California. SYNOPSIS: An everyday, blue collar man is forced into the brutal world of illegal underground fighting as a means to save his home and family from financial hardship. 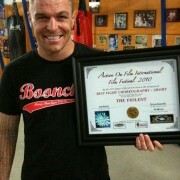 Starring 6 times world Muay Thai champion John Wayne Parr. Post Production by AETRONI DIGITAL. Wow, congrats to you, JWP!